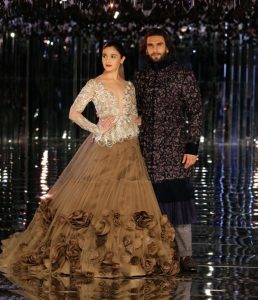 The FDCI India Couture Week 2017 being held in the national capital has been throwing up some fabulous designs over the last few days. So much that we didn’t almost didn’t want the show to end. But like all good things come to an end, this too had to come to an end. 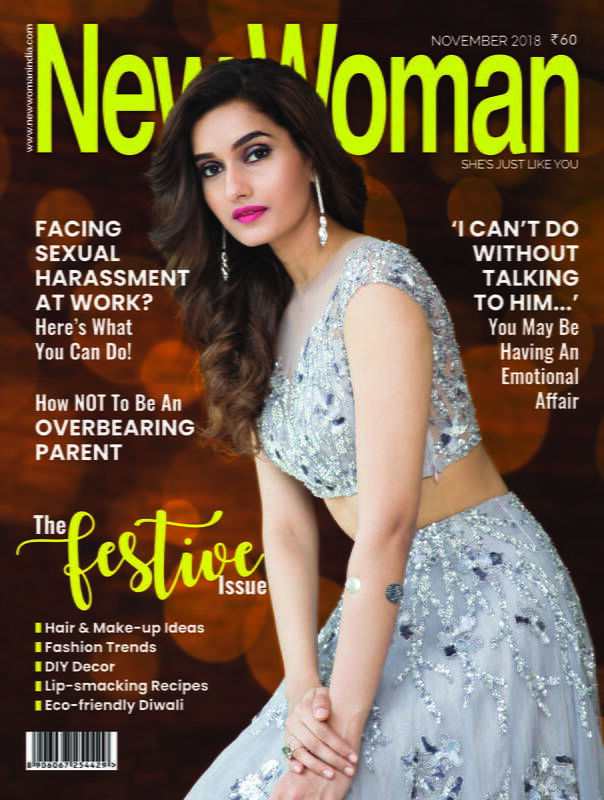 End it did, and in splendid style-with none other than designer Manish Malhotra’s spectacular show. 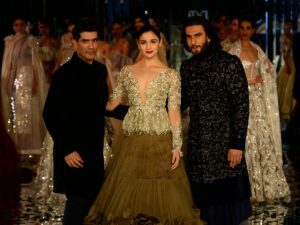 Other than that it was a stunning show, Alia Bhatt and Ranveer Singh were the showstoppers for ace fashion designer Manish Malhotra at the grand finale of FDCI India Couture Week 2017 that was held in Delhi on Sunday. 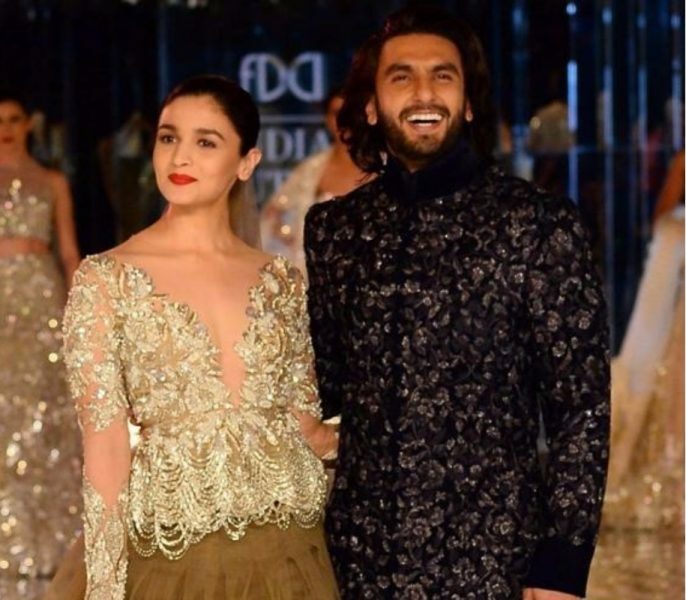 While Ranveer Singh flaunted Alaunddin Khilji avatar for Manish Malhotra’s couture, Alia looked nothing less than regal in Manish Malhotra ensemble as the rosy trail added to the glamour and brightness of the ramp. 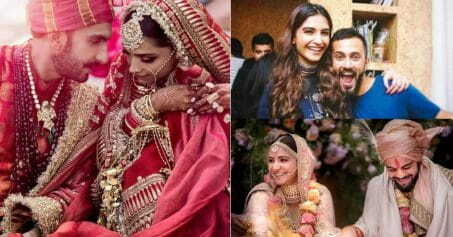 There was no doubt that the chemistry between the two was explosive since the actors have worked in a number of ad films together as Ranveer greeted Alia with a kiss on her hand and while she was giggling as they stood next to each other after what we assume Ranveer must have cracked a joke. 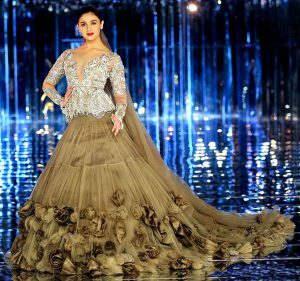 Malhotra who’s known for dressing up the who’s who of Bollywood opened the Couture week last year with Fawad Khan and Deepika Padukone. 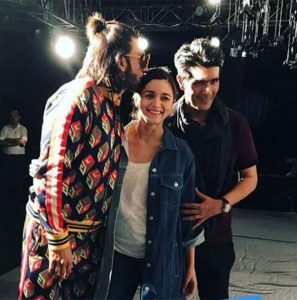 Alia and Ranveer will soon be sharing screen space in Cinema in Zoya Akhtar’s ‘Gully Boys’ which is based on street rappers in Mumbai.